According to the Find the Best website, the average cost of a brand new RV is 122,517 dollars. Even if you purchase a less expensive or used RV you will be spending at least 75,000 dollars. And if you are a boater, the average cost of a 21 to 24 foot motorboat surpassed 60,000 dollars in 2012. When you are outlaying that much money for a vehicle that you only use occasionally, it is in your best interest to find the sturdiest, most affordable protection you can afford. If you live in an area where you experience sun, humidity, rain, hail, snow, and ice, you are well aware of the toll weathering takes on a vehicle. All you have to do is look at the older cars and trucks on the roads in your area to see the effects of weathering. If you live in a region like Arizona or Florida, where snow and freezing temperatures are uncommon, you will notice much less rust than you will on vehicles in the Northeast. As we all know, when a material is subjected to constantly changing temperatures it will inevitably breakdown. But it is not only the change in temperatures that owners of expensive boats and RVs need to worry about, either. When these items are not stored in garages, metal buildings, or other storage facilities, they are also subject to sleet and hail. In fact, hail has been known to cause as much as 3000 dollars in damage to exposed vehicles. Perhaps this is the reason metal carports sales are flourishing, and more RV and boat owners are having prefabricated metal buildings installed on their properties. Since most garages are far too small to accommodate 40 foot RVs or 24 foot motorboats and trailers, metal carports sales have been rising among owners of these vehicles. 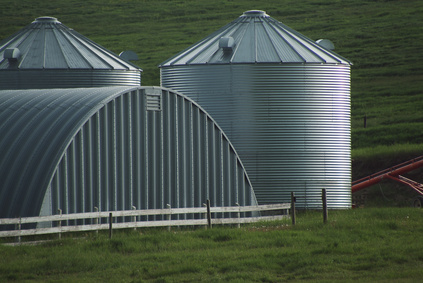 The reasons for the growing popularity of steel buildings can be attributed to more than the affordable, durable protection they provide. Unlike the old, rusty tin buildings from years past, modern steel buildings can be attractively painted to compliment your home, come in easy to assemble carport kits, and are limited by fewer zoning regulations than other comparable structures. The manufacturing of steel buildings is also environmentally friendly, as it requires only 75 percent of the energy it takes to manufacture metal products from raw material. Additionally, prefabricated metal buildings are just as durable as non recycled steel; and their durability is the reason that recycled steel has been used for more than 150 years. Considering the affordable protection and ecofriendliness of steel building kits, it would be nice to see metal carports sales continue to grow. After all, in an era when the environment and economics are both areas of grave concern, why would any RV or large boat owner not seriously consider them?